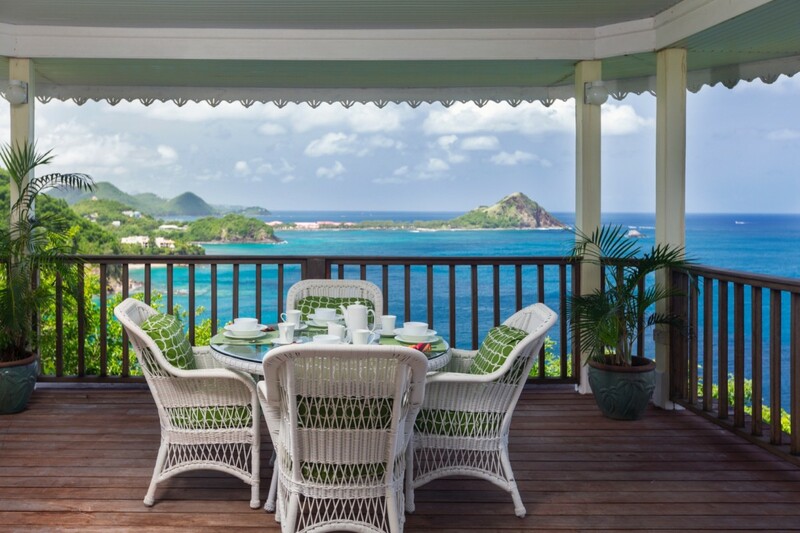 As charming as its name, the Villa Lemon Tree is a two-bedroom gem set in one of the most coveted areas of St. Lucia. 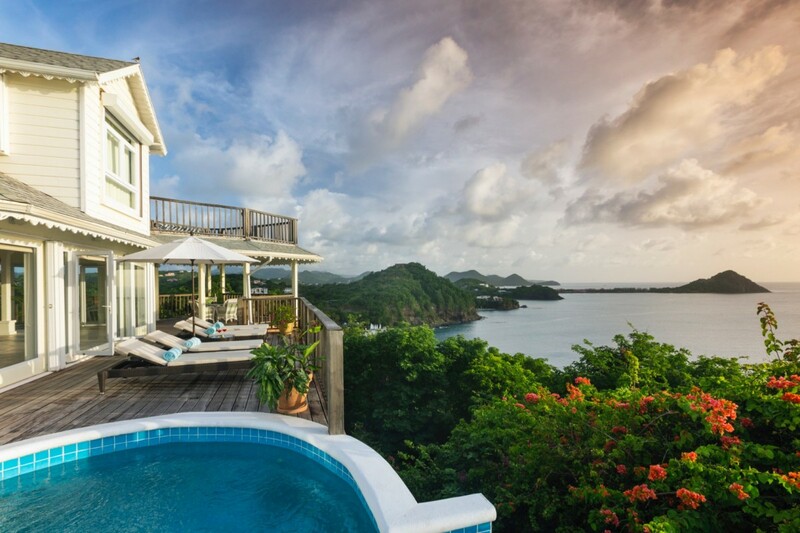 Tucked on a cliff that overlooks the gorgeous Saline Point area of the island, it is part of the exclusive Cap Estate. 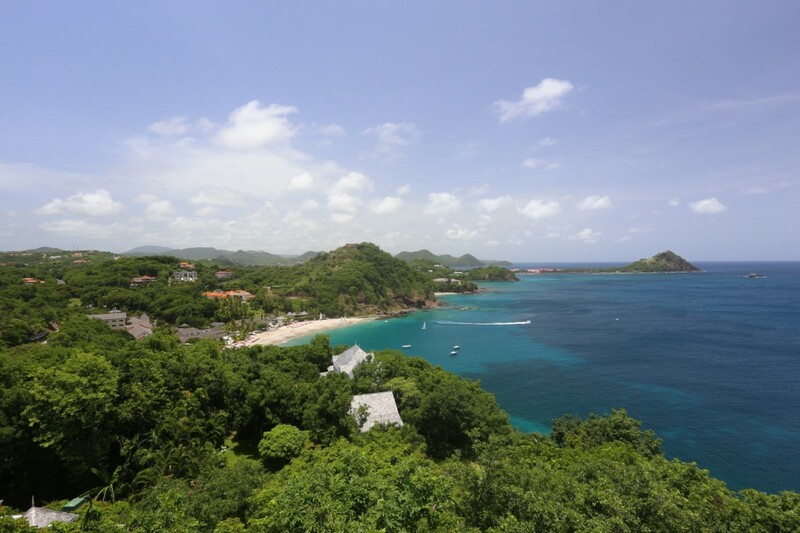 Your view encompasses Pigeon Island and even Martinique in the distance as well as an uninterrupted view of the sea. An expansive, two-story property, the villa uses stunning lines and angles to create a rare and beautiful effect. The main floor is where all of the shared living spaces are found, as well as the stunning pool deck. 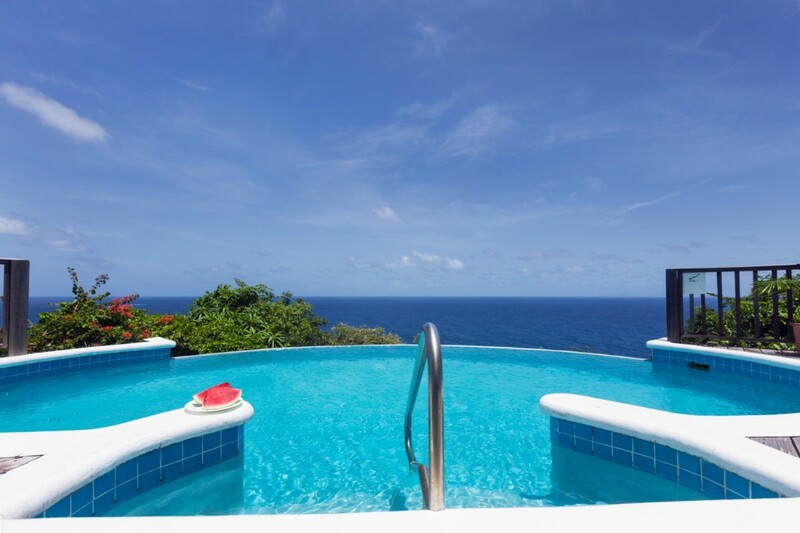 The pool is an infinity-edge beauty with curved lines and amazing views. 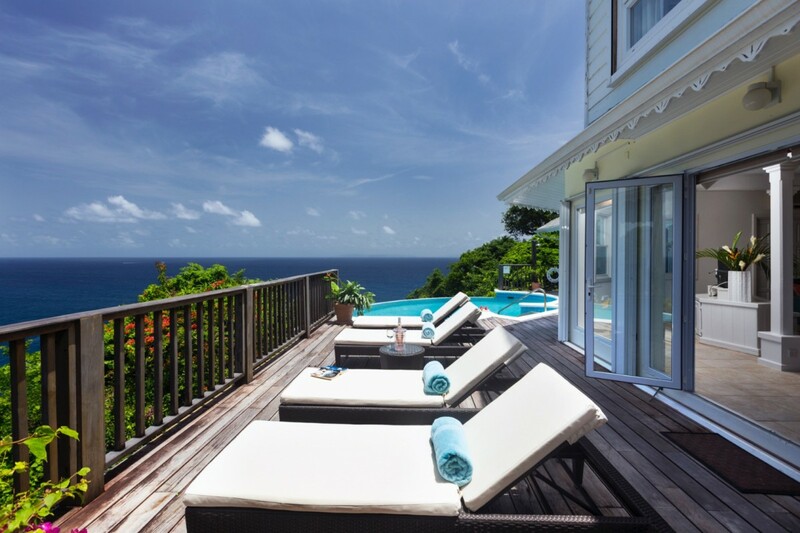 Set into the wooden deck, it is surrounded by roomy sun beds. 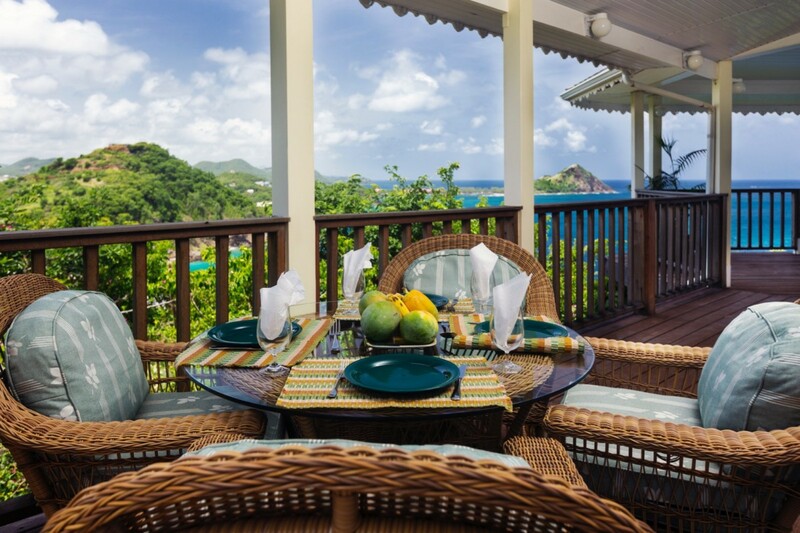 The deck then leads to the verandah where an outdoor dining room is situated. This wraps around to another side where additional lounging and dining niches are found. Inside, the airy great room is done in a pale palette that captures the light and breezy atmosphere from outside. There is a large, living room and TV lounge space along with the charming formal dining area. The full-sized kitchen is nearby, and though your stay includes housekeeping services, you can also request that some of your meals be prepared by attentive staff. The two bedrooms are divided between the upper and lower levels. 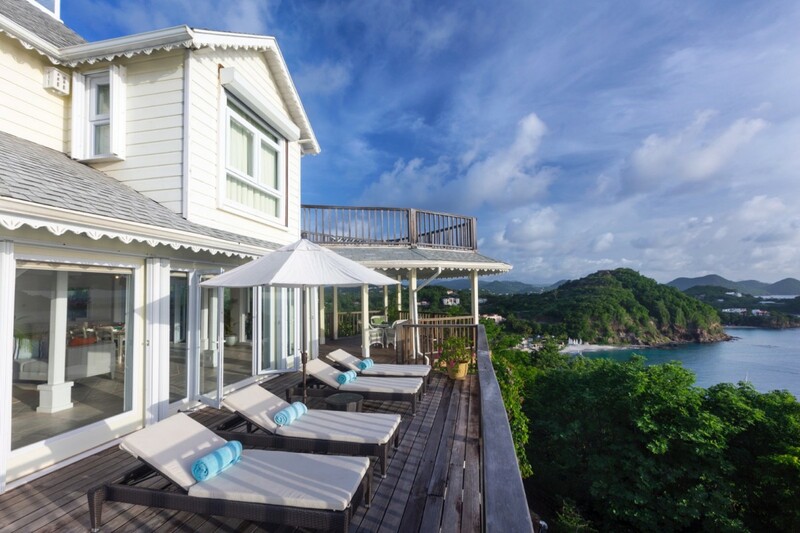 The master bedroom is above and features a king bed, a large and private sun deck and a luxurious en-suite bath. The second bedroom is on the main level, and it opens to the pool terrace and also has a large, private bath. 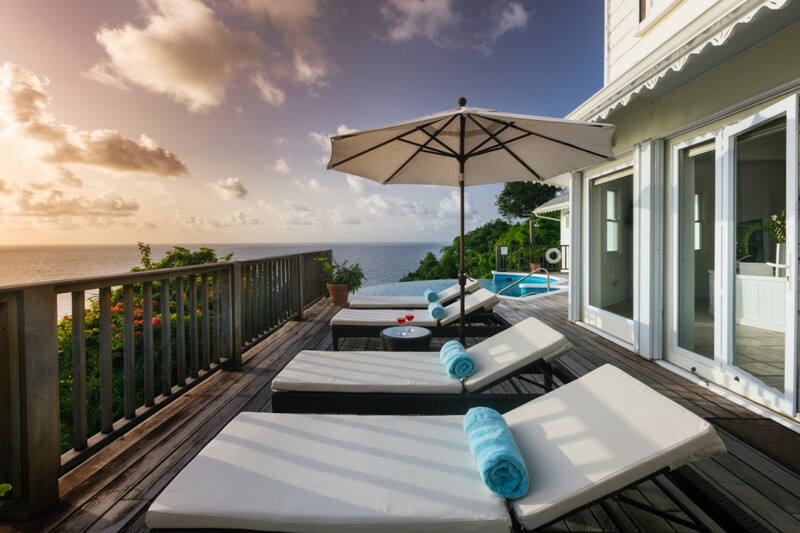 With its wrap around decks and verandahs offering extensive views and living spaces, you can get the very most out of a stay at the lovely Villa Lemon Tree. Housekeeping included 6 days a week, Monday - Saturday, 8:30 am - 3 pm. Bedroom 1: Upper floor Master bedroom with a king-size bed, A/C, ceiling fan, TV, private terrace with ocean view and en-suite bathroom with shower, vanity and WC. 2 guests maximum. Bedroom 2: Main floor bedroom with two single beds (can be made up as a king-size bed), A/C, ceiling fan, TV and en-suite bathroom with shower, vanity and WC. 2 guests maximum. A true piece of paradise on earth! 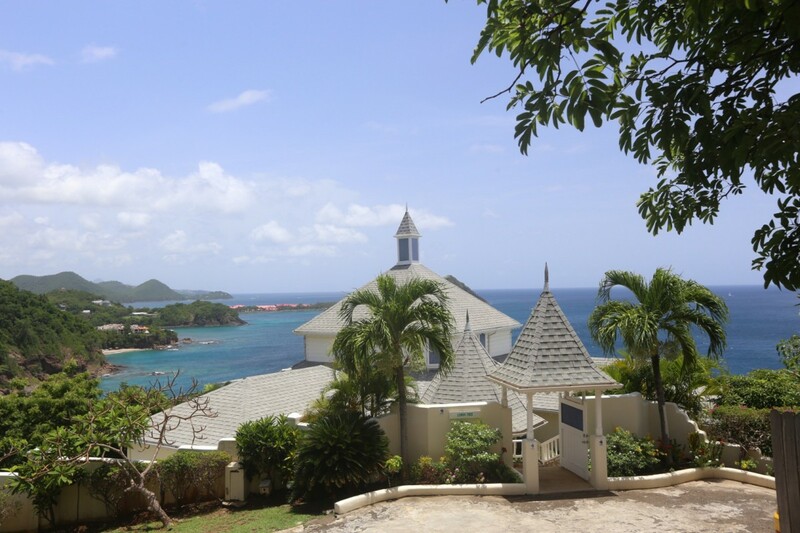 The view was simply exquisite and the house was beautiful, private and well equipped. We truly didn't want to leave. The layout of the house is perfect for two couples as the bedrooms are spaced apart, giving each couple plenty of privacy. The road to get there is a bit of a trek, but well worth it. All that said, I will tell you without hesitation that the BEST part of Lemon Tree is Mary, the "maid". I quote that term because once you meet her, you will quickly think of her as a dear friend that likes to take care of you. She is a great cook, very knowledgeable about the area and so very kind. Make sure you take advantage of her rum punch! 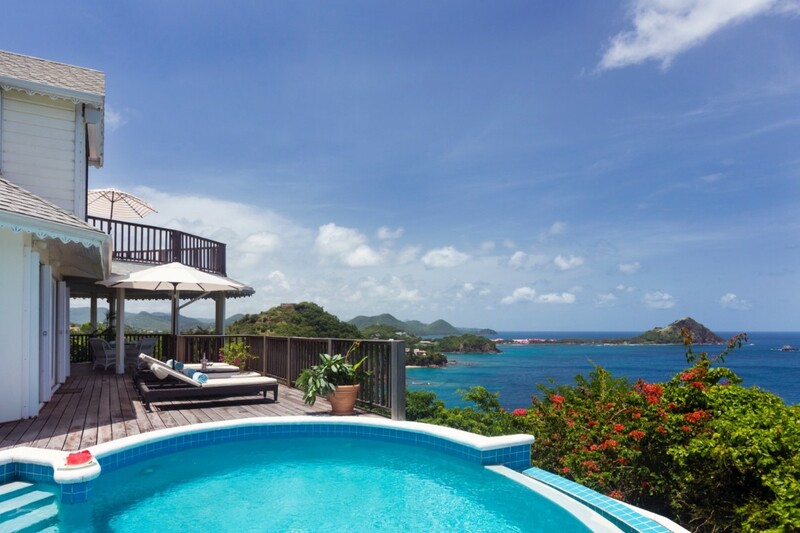 We usually pick a different island every winter, but I think we have found our perfect spot at LemonTree. We can not wait to go back! Isle Blue Services Comments: Renting a house, as opposed to finding a hotel, was new for us this year and a little overwhelming. Isle Blue made it so easy! From arranging the rental car and getting a driver to and from the airport to promptly answering emails (with sometimes silly questions), we have had a great experience with Isle Blue and plan to use them for our future travels. Thank you Mary! You are the best! This emails finds me back in my office after a week of absolute paradise and pampering. Our driver from the airport was friendly and helpful, our car was waiting for us, as was the maid, Mary, who was more delightful that I thought someone could be. The house immaculate, the views absolutely stunning and the people wonderful. Thank you for all of your help on getting this all put together and please share with Illted how happy we were with everything (especially Mary). We will definitely be back there!